With the summer upon us and vacation season in full swing, wouldn’t it be nice to have your own personal resort? The idea of a private sanctuary, complete with a sparkling pool or bubbling water feature, doesn’t have to be just a day dream. At Lifescape, we help our clients find the perfect solutions for beautiful and functional pools, spas or fountains that reflects their design sense and their lifestyle. Do you like to entertain friends and family, or spend quiet time on your own? Does your pool need to accommodate your work out regime, or a fun playtime for kids? Perhaps it needs to reflect a little of all these. When it comes to pools and water features, one size does not fit all. Would you like a peaceful enclave with a soothing water fall or a sleek lap pool? Or a fun slide and water sports equipment? Make sure you consult with a designer who can help you create exactly what you need. You’ll enjoy the end result for years to come if you take the time to consider the best, most functional design for your needs. 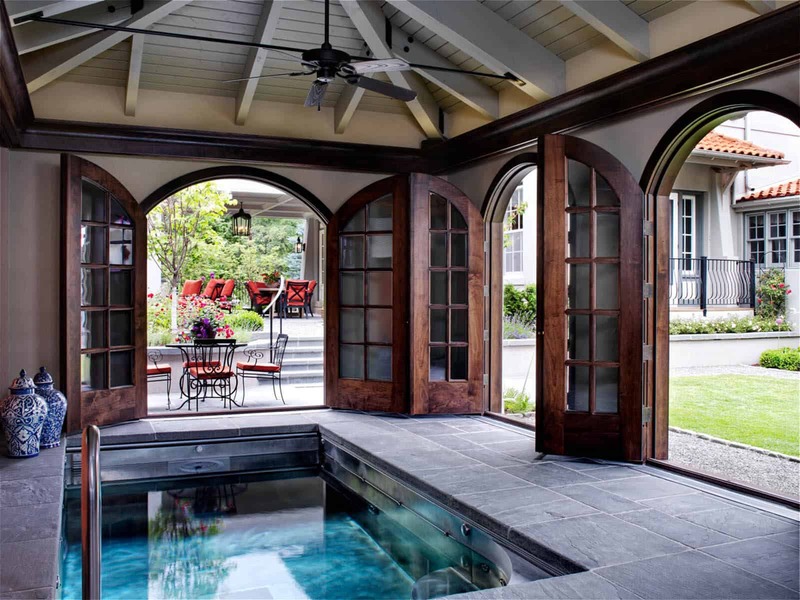 With many people choosing to spend more time entertaining and relaxing at home instead of traveling for vacations, creating your own poolside sanctuary with seating, outdoor fireplace, jacuzzi or a swim spa becomes a lasting luxury that adds value to your home. A pool should not be a stand alone feature in the middle of your yard. 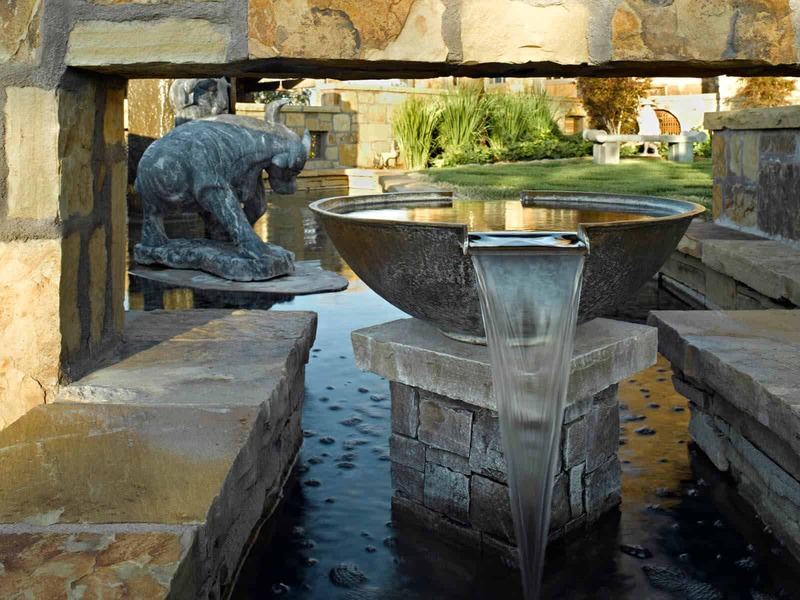 The talented designers at Lifescape can integrate a beautiful pool or water feature into your existing landscape or help you create a new environment that better meets your lifestyle needs. Native stone, sleek porcelain tiles or elegant but sturdy pavers can all be considered when designing how your water feature will blend into its surroundings. 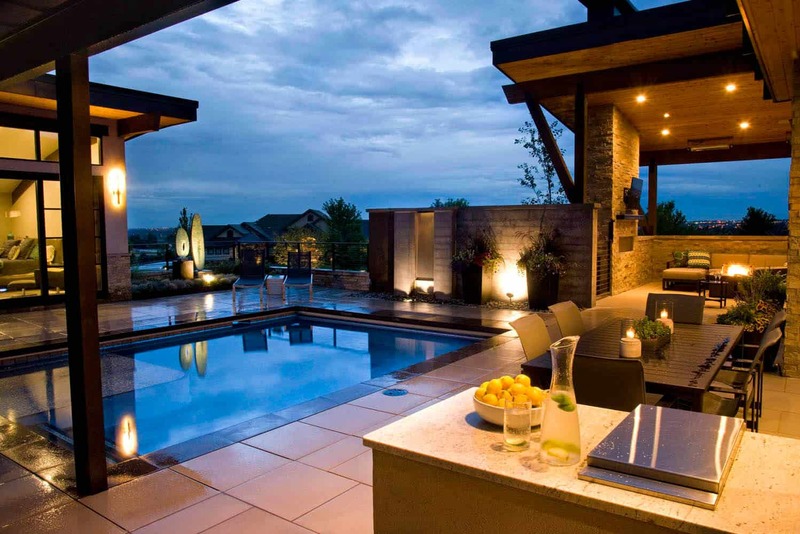 Be sure to make your outdoor living space an extension of your home and indoor spaces. Privacy fencing is often requested when planning your pool’s surroundings. However, privacy can also be created with trees and shrubs, a mix of hardscaping materials and plants or even with a trellis combined with climbing plants. The terrain or rise and fall of your property can also provide private places while also preserving the view of your surroundings. The options are limitless. All you have to do is let us know which style appeals to you most. Start your pool or water feature project today by contacting the experts at Lifescape, and you’ll be ready for next summer’s “staycation”! Happy July 4th from Lifescape Colorado!